Remember those Pink Ombre Fondant Flowers on the Lychee Rose Cake. They were made entirely out of edible Marshmallow fondant. Which essentially is a mixture of Marshmallows, Icing sugar and shortening. 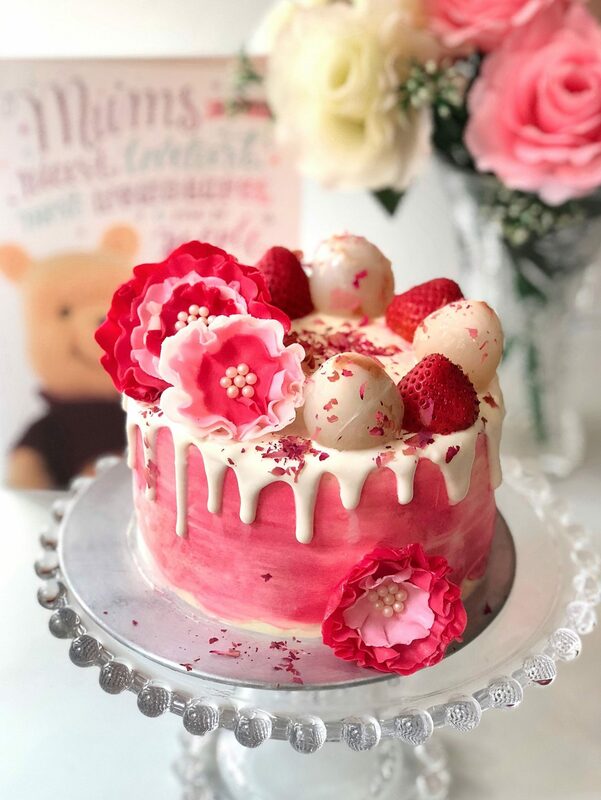 I had quite a lot of request when I posted this cake on Instagram on how I made those fondant flowers so I decided to put together a short tutorial on how I made them. 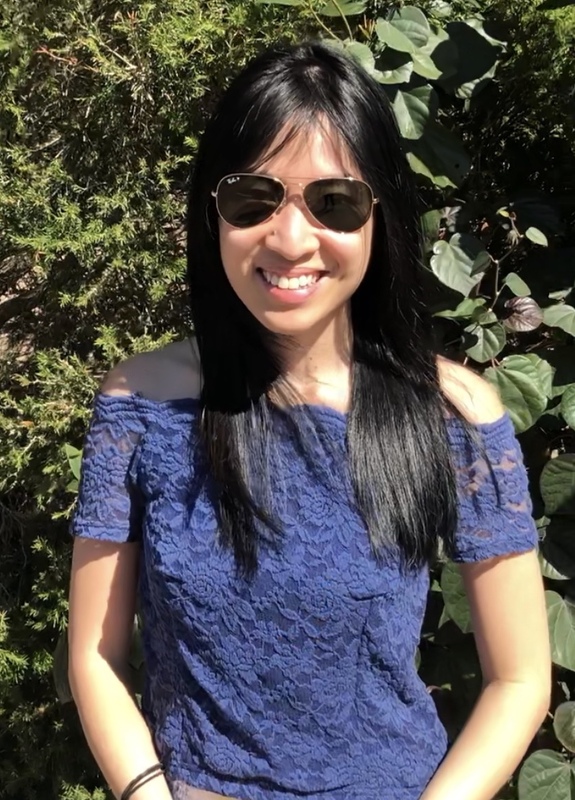 Unfortunately, I didn’t have a clearer video while making them so I hope the step by step tutorial helps. Feel free to ask me any questions in the comment section below. 2) Wilton edible gel in red. It’s easier to start with red because a little gel added to your frosting will give you pink. To get a darker red, just add more gel. 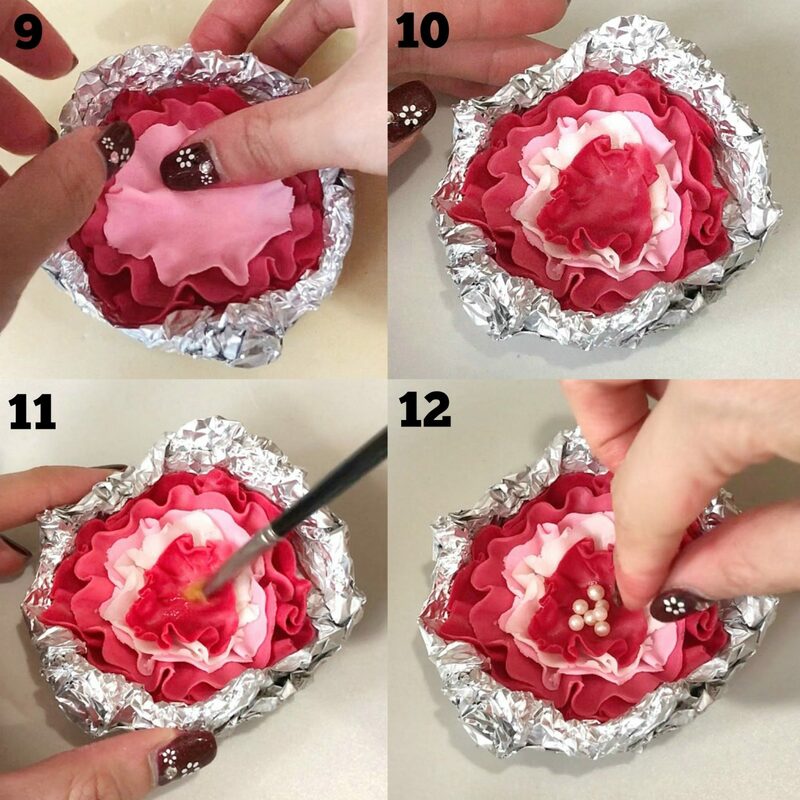 3)Crush a sheet of aluminum foil to form an indented U shape mold to set the flowers. 4)Separate fondant into 4 parts. Color 3 of them with varying shades of pink. You want them to contrast well so the flower pops when you combine them altogether. 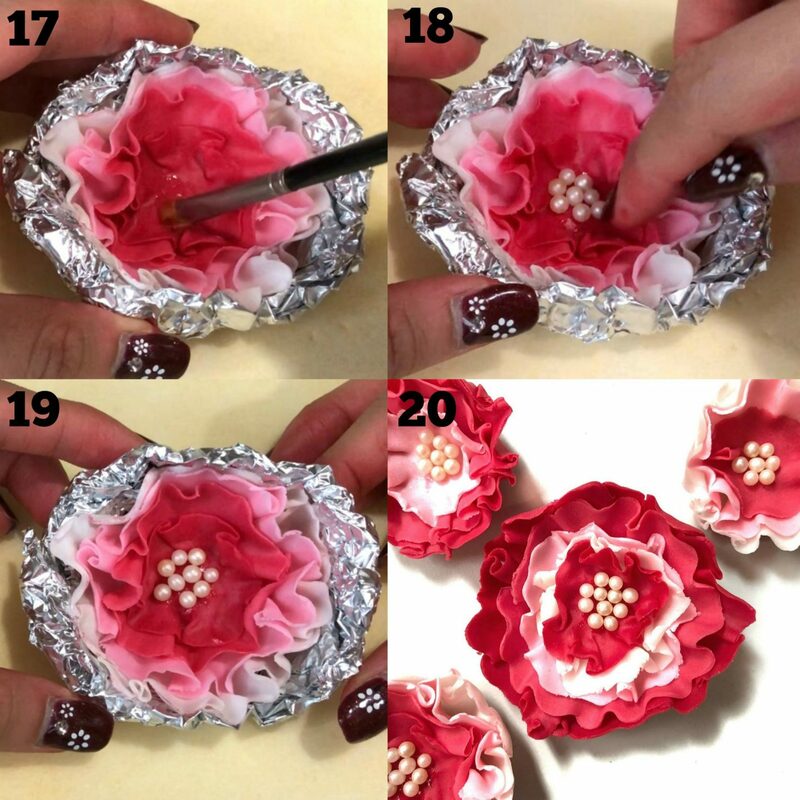 5) Start by making the biggest petal ( In this case I want the darker shade on the outside) So roll out the red fondant to 1/8 inch thick and using the largest cookie cutter, press it firmly on the rolled out fondant to cut out the shape. 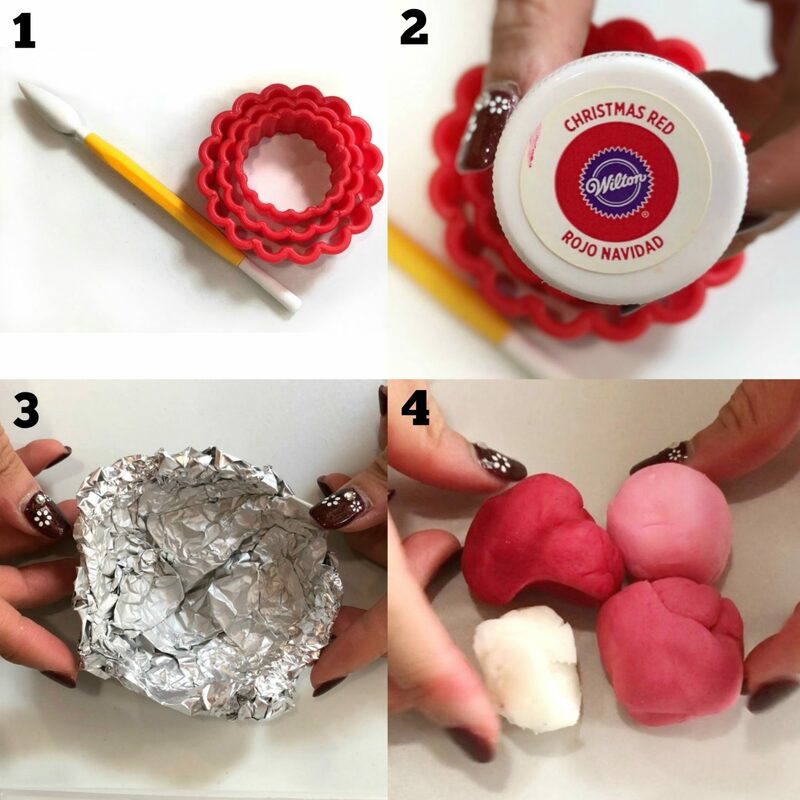 7) Place the ruffled petal back in the aluminum mold that you made earlier. 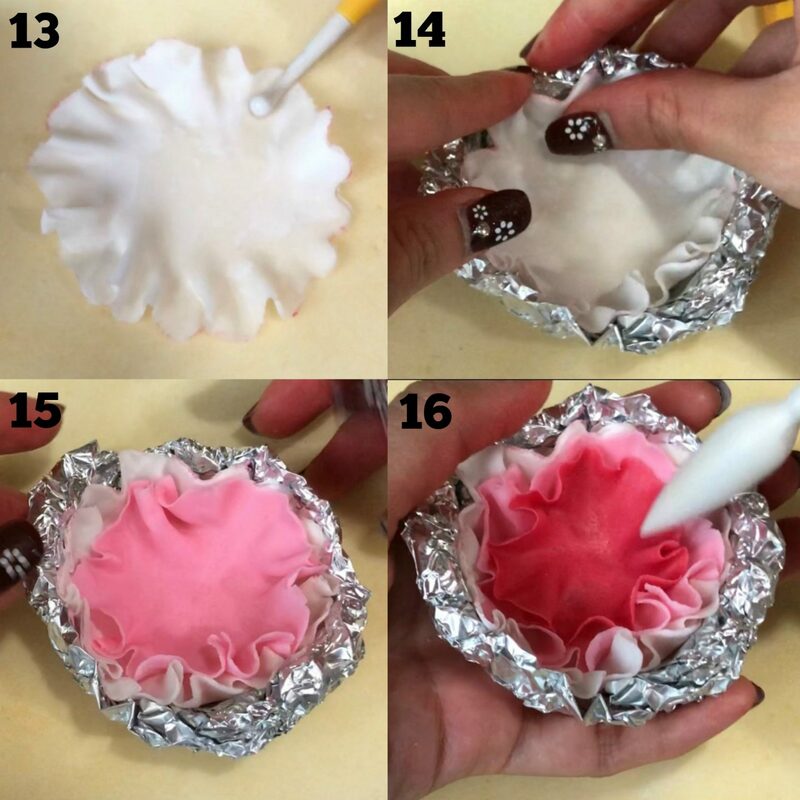 12) Stick some edible pearls and leave flower to set overnight till dry. And there you have it! 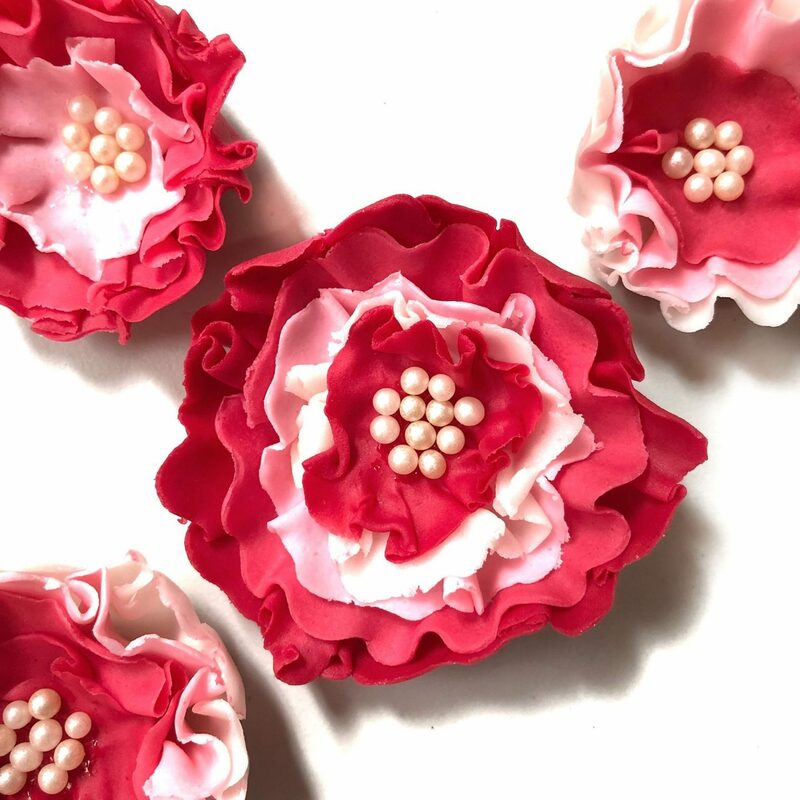 Your very homemade edible fondant flowers that looks pretty much like the real flower. You can always play around with the colors of the flowers. It’s really up to you. I had so much fun making these that I’m thinking about making another cake just to place these beautiful fondant flowers! Hope you enjoy the mini tutorial and if you ever make your own, do share your flowers by tagging me on Instagram @sherbakes! Bake on guys! Also incase you’re wondering where these beauties went, they went on this gorgeous Fresh Lychee Rose Cake! Head over to check out the delicious recipe!